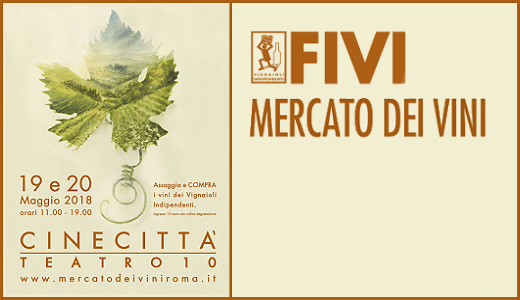 We will present our wines in Rome at the 2018 edition of the Market of FIVI Wines on Saturday, May 19th and Sunday, May 20th. The event will be hosted at Cinecittà Studios (Teatro 10). FIVI is the Italian Federation of Independent Winegrowers.